WHAT HAPPENED: Down 58-57 in overtime with 12 seconds left, Oshae Brissett appeared to give the Orange the go-ahead basket on a drive. But the officials waived the basket and called a charge, and Howard Washington had his potential game-tying 3-pointer blocked as time expired, handing SU its second loss of the season. The Orange had to rally from 51-38 with 11:45 to go to even force overtime. The Bonnies were held scoreless in the final 7:17 of the game, and the Orange had a chance to win in regulation, but Brissett misfired. 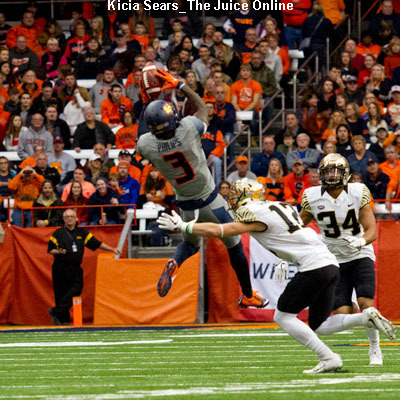 ANALYSIS: Syracuse offense resembled the outside temperature, with the Orange shooting 18-60 from the field and 3-19 from downtown. 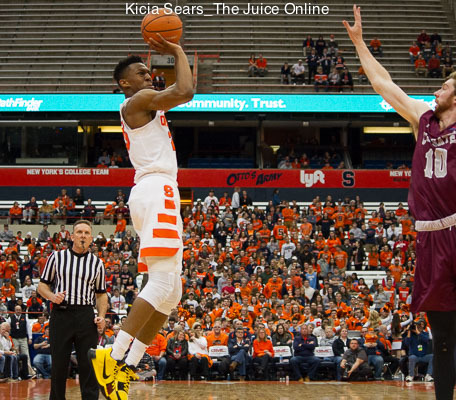 SU’s lack of depth also showed after Paschal Chukwu and Marek Dolezaj fouled out, forcing a gimpy Bourama Sidibe to play critical minutes in overtime. The game was sloppy on both sides, with each team committing 16 turnovers and a combined 45 fouls. HERO: Jaylen Adams rode a torrid first half to a game-high 23 points on 4-6 shooting from downtown, though he was mostly a non-factor in the second half. For the Orange, Dolezaj stuffed the stat sheet with nine points and 10 rebounds. 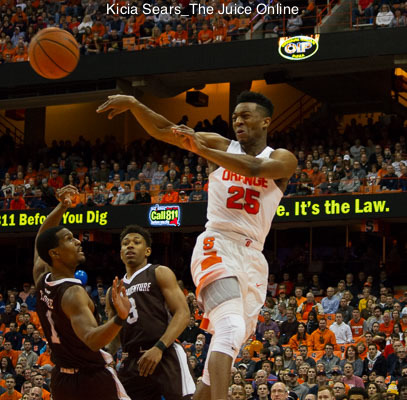 ZERO: Tyus Battle has now struggled for two straight games. The sophomore was 3-18 from the field and 1-9 from downtown, while his backcourt mate, Frank Howard, wasn’t much better, shooting 5-16 from the field for 17 points (and four turnovers). WHAT’S NEXT: Syracuse continues its homestand, wrapping up its non-conference schedule with a game against Eastern Michigan on Wednesday, Dec. 27. Game Time: 7:00 p.m. ET / TV: ACC Network Extra.